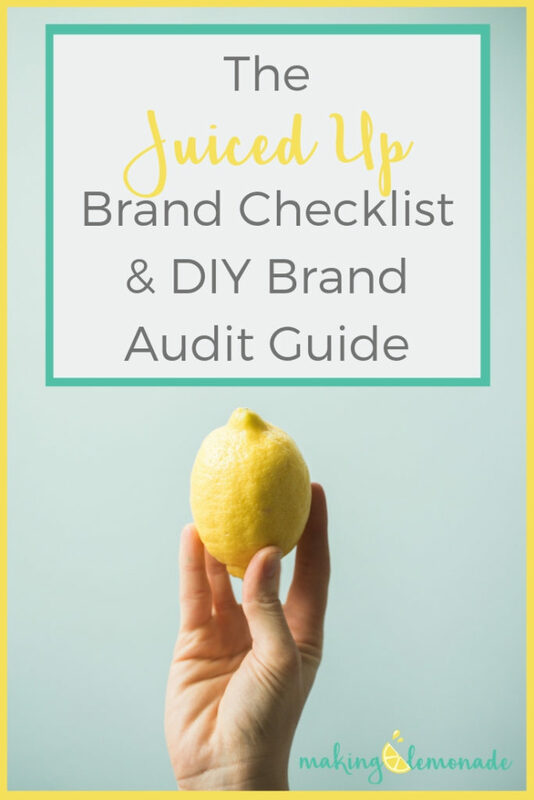 Get the FREE Juiced Up Brand Checklist & DIY Brand Audit Guide! What is branding and why is it so important ~ especially for Wellness Experts that need to stand out in a saturated market? Learn what the TWO main categories of branding "ingredients" are. How to perform your own BRAND AUDIT ~ and what 7 critical questions you need to get answered before you start! How often you should do an audit of your brand. BONUS GIFT for some extra lemon love! JUICE UP YOUR BRAND & YOUR BIZ! YOU’LL ALSO RECEIVE SWEET BUSINESS BUILDING TIPS, BRANDING + DIGITAL MARKETING STRATEGIES.